Fluoride and sugar free, Thursday Plantation Tea Tree Toothpaste captures the unique antibacterial power of Tea Tree Oil to help maintain healthy gums and teeth. Helps foster healthy teeth and gums. Assists in controlling dental plaque and tartar. 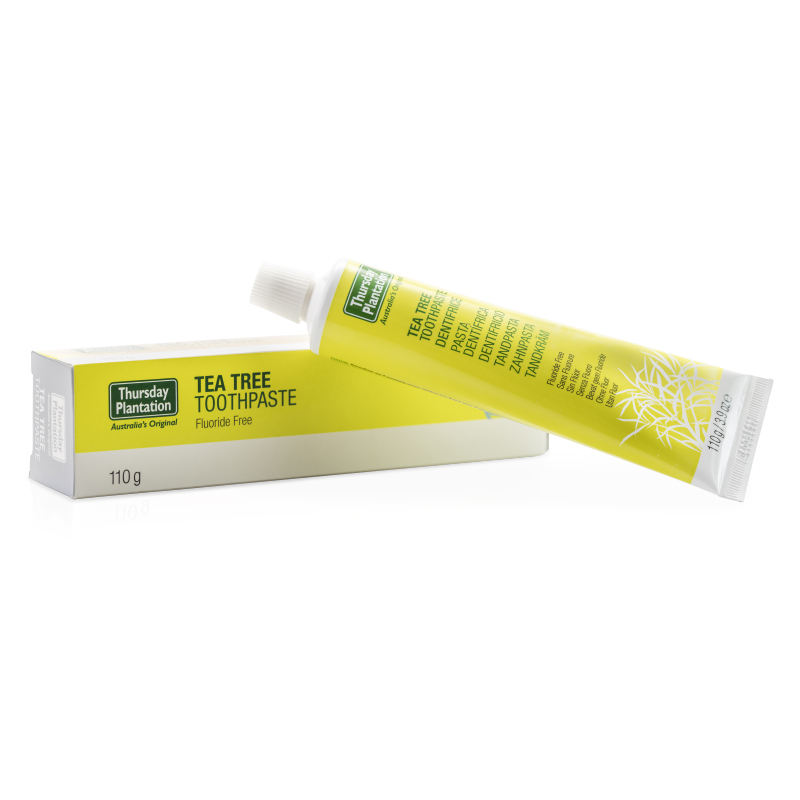 Brush your teeth daily with Tea Tree Toothpaste to maintain good oral hygiene. Calcium Carbonate, Water/Aqua, Sorbitol, Glycerin, Sodium Lauroyl Sarcosinate, Hydrated Silica, Flavour/Aroma, Tetrasodium, Pyrophosphate, Cellulose Gum, Stevioside, Sodium Benzoate, Melaleuca Alternifolia Leaf Oil, Limonene. Children less than 6 years of age should be supervised by an adult.